It all started with a stack. There are oh so many stacks….waiting-to-be-read magazines, bills, things I need to follow up on and of course – invites. Especially at this time of year! Graduations, weddings, home parties, baby showers…oh my! 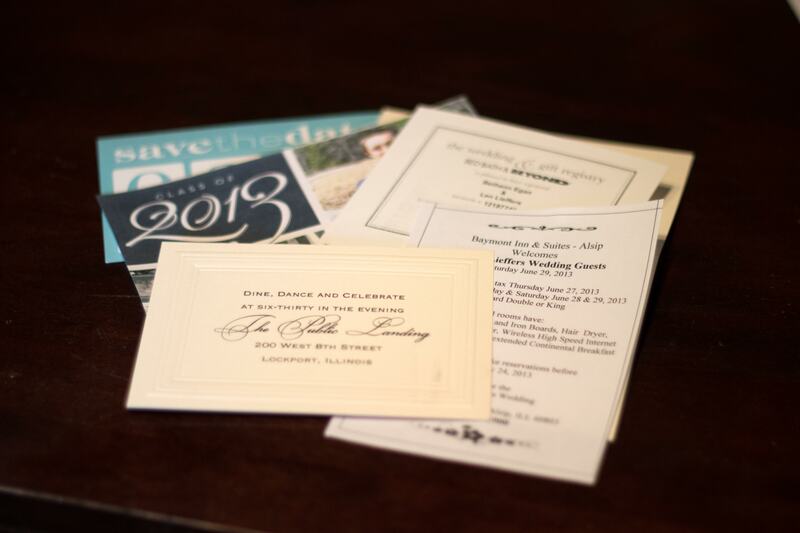 Of course they’re all on my wall calendar and my phone calendar, but I usually end up wanting to save the invites for the extra details, registries, directions, etc. So all these lovely, carefully chosen invitations end up in the dreaded stack. My first thought was to make a little pocket that I would hang on the wall next to my calendar. But as I went to work with scrapbook paper, scissors and Nathan’s glue stick I realized there were two drawbacks to that plan – 1. I was going to have a hard time attaching it to the wall in a way that would look nice and hold up well and 2. I was going to have to make something sturdier to hold “the stack”, it was just too heavy and bulky. So I decided to scratch that plan and went on a hunt around the house for a better solution. My aha moment came when I saw this gorgeous glass vase sitting on a shelf waiting to find its purpose in life. Wait no longer Mr. Vase, your day has come! 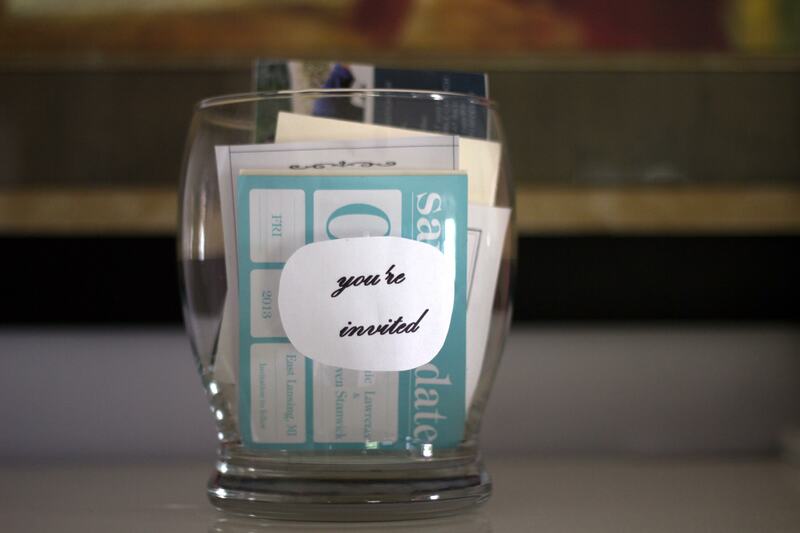 So I printed out a little sign (which will be perfected, or possibly etched, at a later date), trimmed down one of the larger invitations and added a note on one of them about a gift and placed them in the jar. I know this solution isn’t for everyone, but I adore it! Previous postYou should probably read this today.